Former Nigeria Professional league top scorer Jude Aneke has concurred with Genort Rohr’s decision to see of Seychelles in the last game of the AFCON qualifying round with his regular performers that secured the ticket. Following the qualification at Johannesburg, Nigeria faithful were of the opinion that the German tactician will try fresh legs against Seychelles in their last game since the game has no real significance again. “Maybe (Gernot) Rohr doesn’t want to be distracted with new players, because I think he has an idea of the kind of players he wants to use,” Aneke who broke Ahmed Musa’s goals record in the Nigerian league in November 2011 with 20 strikes told allnigeriasoccer.com Tuesday. “Most of the players for the upcoming matches will be those that played in the World Cup, he will only inject few new faces,” Aneke opined. “Even though Nigeria has qualified, the coach’s programme will begin in this last game against Seychelles so it is just reasonable that he continues with the group that he started with. “This is not time to scout for too many players. It’s not ideal when a competition is close,” the former Kaduna United, Warri Wolves, Akwa United, Al Masry of Egypt, and now Ikorodu United striker stressed. 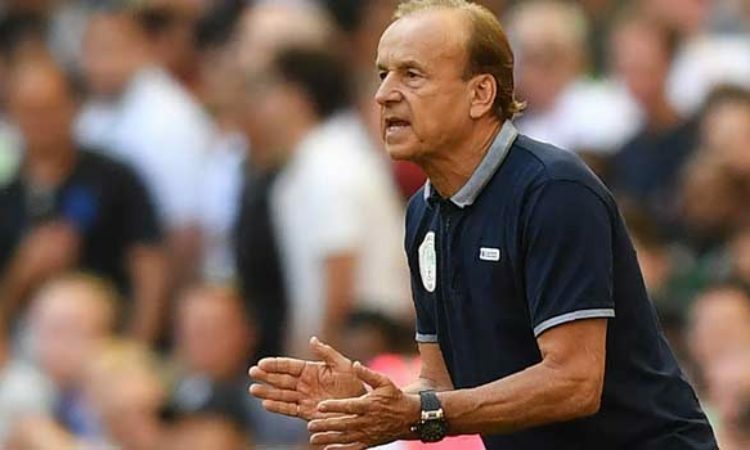 Rohr however assured that fresh legs will be explored during the friendly games that will come up between the periods of March to May 2019.